WITI will be launching our new magazine WITI Savvy very soon. Please make sure we have your correct info by logging in here: www.witi.com/users. For advertising information click here. Thank you! Throughout the entire month of June, WITI will give its two million plus members an opportunity to recognize meaningful contributions women have made to society and technology. The regional events and programs will be dedicated to empowering women in technology and promoting personal growth. During the month, WITI will also be honoring its Hall of Fame winners at events in their local networks or areas. Women today have the right to vote, have the same jobs and educational opportunities as men, and are represented in the government. But consider what life was like back in the 1800s and earlier: women had no rights at all compared to men. They weren't allowed to vote, go to college, or have the same jobs, let alone be elected governor or senator. Finally, a few women living in the 19th century realized how horrible it was to live this way and decided to do something about it. Among these bright souls was Elizabeth Cady Stanton, a talented writer held back by her family but who wasn't afraid to speak her mind. As a Coach I work with many people who are dissatisfied with their current jobs, careers, or companies and are looking to make a change. Often the dissatisfaction they feel has been with them for a long time, simmering in the background. On the "bad days" they are ready to walk out the door without looking back. But then things settle down again, they are back quietly grumbling to themselves and feeling less than contented with their decision to "stay a little longer." They become increasingly frustrated with their own indecisiveness ("What's wrong with me?") and have no clue as to how to solve the twin riddles: "Should I leave or should I stay?" and "How will I know when it is the right time to leave?" Peggi Douglass of Montgomery, Director of Information and Technology Services for the Retirement Systems of Alabama was held in high acclaim on Saturday, April 8, 2006, as she was inducted into the Alabama Academy of Honor sponsored by the Alabama Business and Professional Women's Foundation. The Induction Luncheon was held at The Club in Birmingham and attended by family, friends, and colleagues from across the nation. Ms. Douglass is a long-standing member of the national Public Retirement Information Systems Management Association; she served on its Board of Directors and later as its first female President. She is a member of Women in Technology International and is a member of Atlanta Architect Council. Recognition of her purpose and determination to shape the use of these technologies and approaches is evidenced by numerous invitations to participate as attendee, speaker, and panelist at strategic level conferences, summits and council meetings. She is an attendee of the annual Microsoft Strategic Architect Forum, an invitation only international gathering of 250 technology leaders, of whom less than ten percent are women. Most recently, Ms. Douglass was appointed was one of two females to serve on Microsoft's Business Process and Integration Customer Advisory Board, a prestigious 20 member council formed to bring technology executives from the U.S. and Europe for guidance and suggestions that will directly influence future product development. 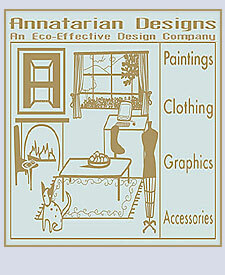 Annatarian is an Eco-Effective Design Company specializing in Eco-Couture, Eco-Wedding, Eco-Fashion, Restructured Vintage, and Custom Dresses... One-of-a-Kind Because You Are! MIT Professional Education Programs (PEP) helps professionals stay up-to-date with the latest advances in rapidly changing disciplines, gaining new knowledge and mastering new technologies. An MIT education plunges students into a fast-paced world of new ideas, emerging fields, rigorous performance, and world-class colleagues.